Her studies and passion bridge both Eastern and Western approaches to the “body mind ” consciousness and include a unique approach to Experiential Anatomy. 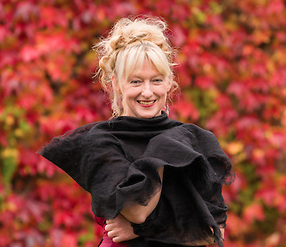 As A performer she has worked with International Dance / performance companies including: Rosemary Butcher Dance Company, Davis Glass Mime Ensemble, Tom Yang Dance, Theatre Workshop Scotland, The Traverse Theatre Company and Tom McGrath. Since 2005 Audicia has been involved in establishing a dedicated centre for the development of movement, health and the arts – State Theta Galleries, Scotland– where she currently lives and works. Her work is influenced by a deep interest in both Eastern and Western approaches to energy, consciousness, the body and health. In 2012 she was awarded a bursary by Creative Scotland and The EHAMA Institute, New Mexico to explore Evocative leadership in relation to the Arts, researching into how Ancient Wisdom Practices and the Tamalpa Life Art work support personal and collective creative development.